Lon Smith is a fifth generation mason residing in Woodbury Connecticut, where he started his own business 25 years ago as a mason specializing in fireplaces, but taking pride in all phases of masonry work. Smith came from the name Smithe, meaning to strike with a hammer. It is safe to say that he is certainly living up to the name. 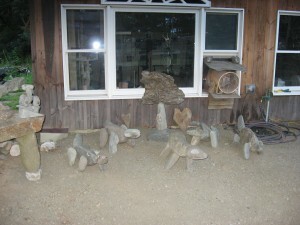 He has always had a passion for sculpting with stones. At the age of six he first began learning the trade of masonry from his father Joseph Smith. A trade he has since passed onto his sons, Lon Jr. and Josh Smith, with whom he has instilled the very work ethic his father had once instilled in him as a young boy. With a tough as stone creative foundation, Smith sees every rock as potential art with a personality all its own. Claiming, he gets his inspiration from “what the rocks tell him”. 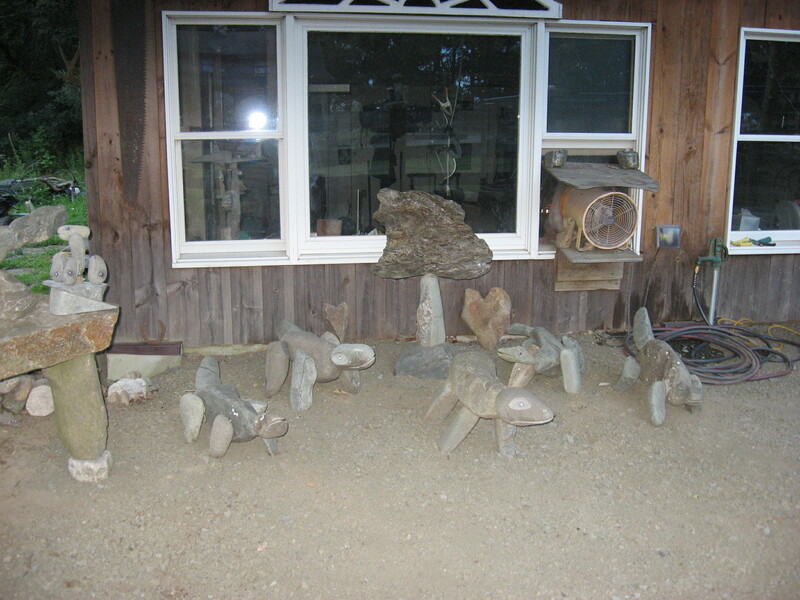 His wife Loretta often accompanies him on his rock hunting adventures, the first step in creating his stone masterpieces. Together they search for what could be faces, arms, legs and bodies, and of course they always bring their imaginations along!